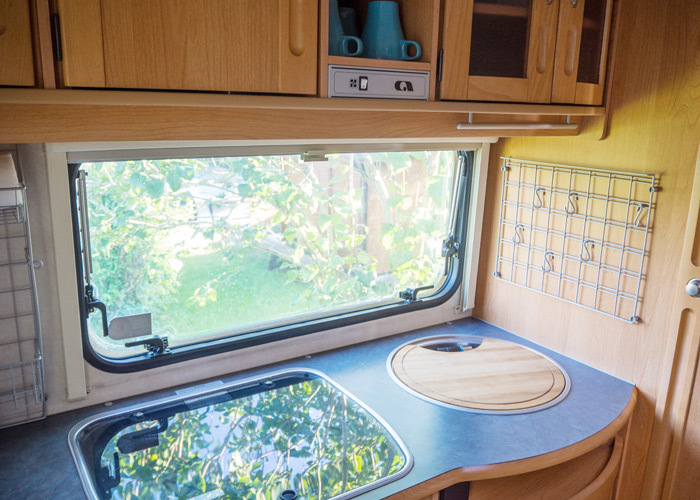 A comfortable camping holiday without your own trailer. 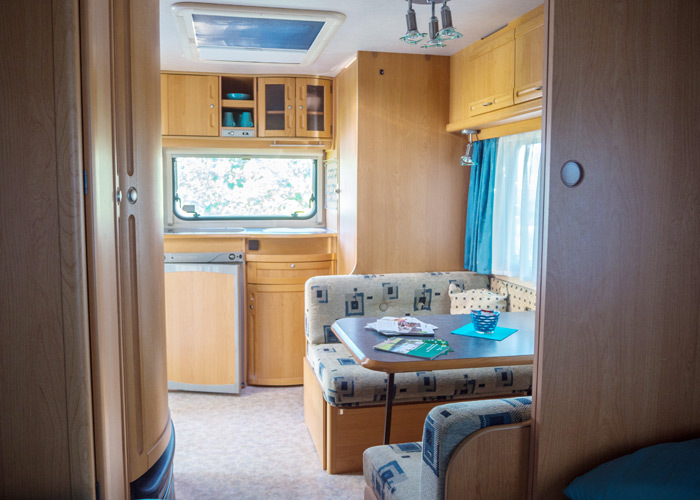 We offer you a wide range of trailer rental possibilities, each with its own camping site and adjacent parking space. 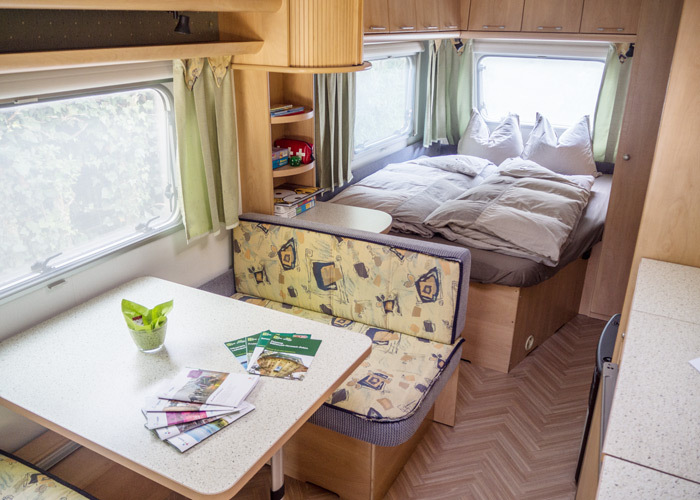 Included is dinnerware, cutlery and refrigerator, toilet and sink, bed linen and kitchen towels. 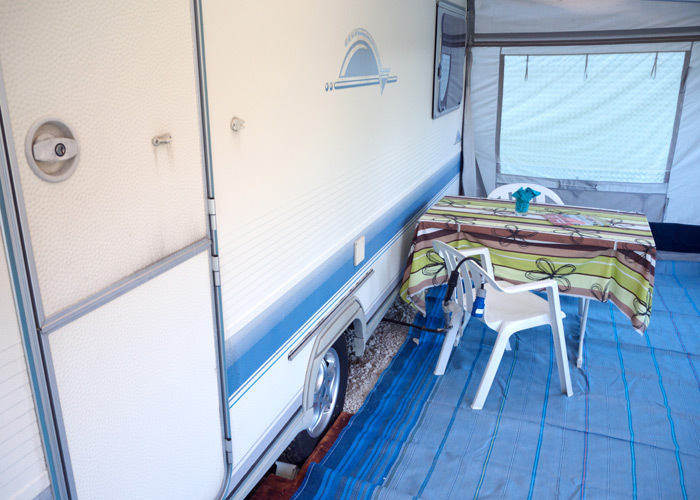 For the outdoor trailer awning, table, chairs and a sun umbrella are included. Ideal for 1 or 2 persons. 2 single beds assure sound sleeping. With the possibility of converting the beds into a seating area for 4 persons. The ideal family trailer. 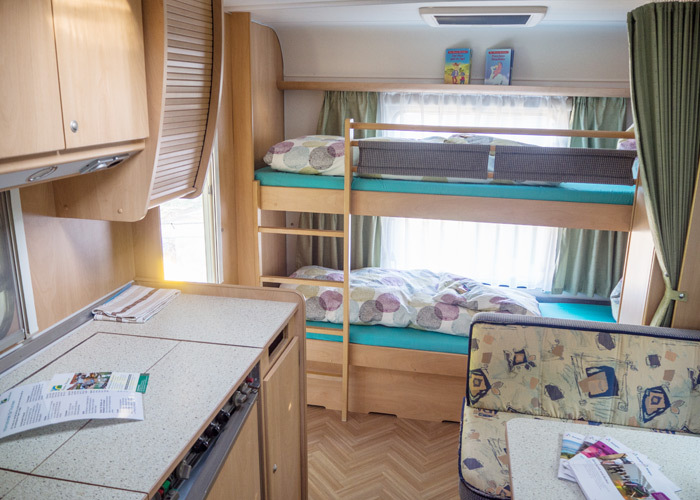 Furnished with a built in double bed, and a bunk bed for the children. A sleeping arrangement for 4 persons without having to convert the area. However, with the conversion of the seating area, there is then room for 6 persons. Completely furnished and equipped, including electricity. Smoking is strictly prohibited in all of our rented trailers. Animals are not permitted. Day of Arrival: Check-in time begins at 3:00 P.M. (Checkin) / Day of departure: The key must be returned by 11:00 P.M. (Checkout) at the latest. 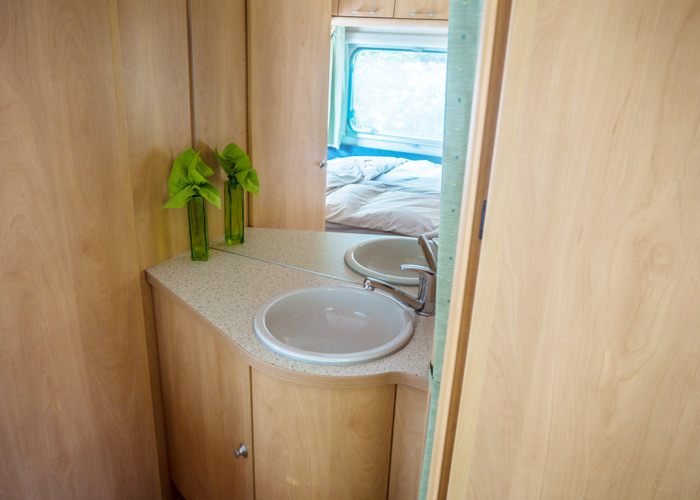 All of our trailers are equipped with a toilet, which is then used by, as well as emptied by, the persons having rented the trailer. The trailer is to be handed over in a cleanly swept condition. 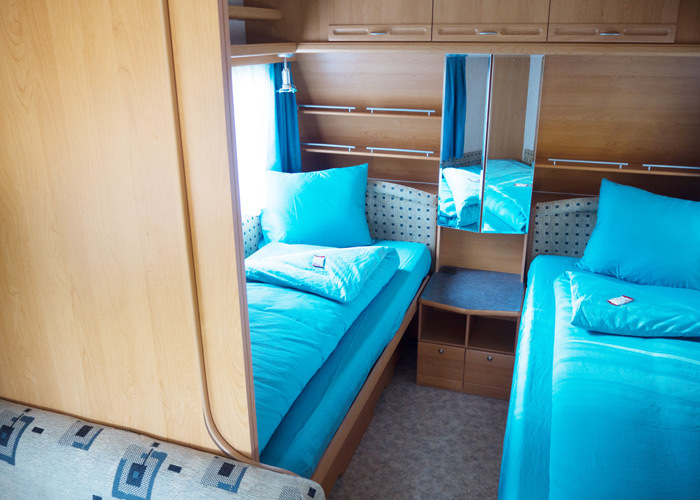 Our rental trailers can be booked starting from 1 night, during the summer season from April 1st through October 31st. 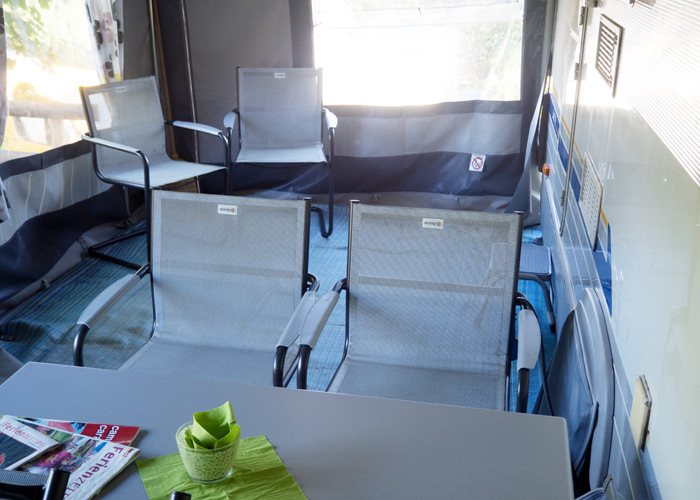 In the winter season from 1 November to 31 March, it is not possible to book caravans for hire.